When you override the standard edit button of an object with a lightning component and after the save navigating back to the record just edited wont reflect the recent changes made. 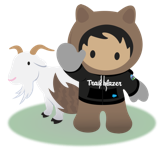 In salesforce classic when creating a new image hyperlink and setting the target to blank this will open the link in a new window. Same behaviour is expected in lightning but instead the new link is opened within the same window.